Choosing a hot tub is a bit like picking out a new car. Price is important, but so are practical considerations like how many people will need to fit comfortably into it. 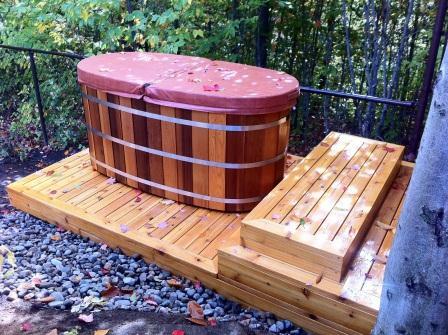 Some folks will need a hot tub that can handle a gaggle of family and friends, while others will only need a small hot tub or private spa for themselves and maybe a significant other. While this may seem like a straightforward decision, it can require some forethought and projecting yourself and your situation into the future a bit. After all, well-maintained hot tubs can last years and years, and what might be true for today can change significantly soon. Only you know the answer to most of these questions. A good place to start is by asking yourself if it seems likely that you'll have friends and family over to enjoy a nice soak. If so, a multi person hot tub will be necessary. If not, a small hot tub like our 2-person hot tub Japansese Soaking Tub will probably suffice (and cost less, of course). In America, most hot tub owners are middle-aged. This makes it more likely that they'll be visited by adult children and their grandkids - if not immediately, then certainly within a few years. Don't make the common mistake of forgetting to factor this inevitability into your hot tub purchasing decision! It could lead to some hurt feelings and crying grandkids. Some people don't like bathing with others as they feel it is unsanitary. 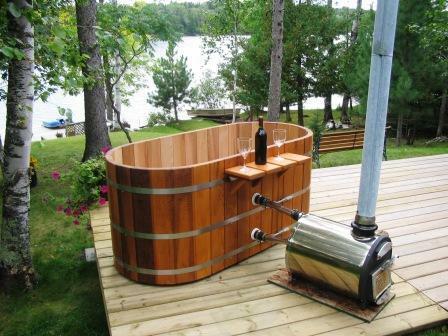 In this case a small hot tub like our 2-person hot tub would be an ideal choice. A small hot tub does not mean you sacrifice space! It just means you don't have space for others. Some people enjoy the not socializing in a hot tub and that is why they only look for small hot tubs or 2-person hot tubs just in case they want a visitor. The size of the spa is the biggest determination of price. If you have a limited amount of disposable income on which to spend for a new hot tub, you might try to find a happy medium in terms of size. For example, let's say you calculate that you want a multi person tub that can handle eight at a time, but you simply can't afford it. One solution is to get a small hot tub for four- or five-person spa and run shifts when you have visitors wanting to soak. It's a workable compromise, and you won't have to take out a second mortgage to buy a huge hot tub!